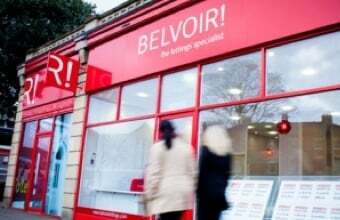 Rise in lenders valuing homes below sale price | Belvoir! These "down valuations", by lenders, can mean buyers having to pay thousands of pounds extra, up front, to avoid the sale collapsing. There has been a "significant" rise in homes being valued at less than what buyers have agreed to pay, the UK's largest mortgage advisers have said. Estate agents Emoov said it reflected surveyors predicting a financial crash. UK Finance said lenders, which it represents, were right to ensure property values were realistic. The organisation said borrowers also benefited from houses having an "independent valuation". The mortgage advisers London and Country told the BBC's Victoria Derbyshire programme that the number of its advisers seeing down valuations on a daily basis now "outweighs" those who do not. Emoov, one of the UK's largest digital estate agents, said one in five of its sales now resulted in a down valuation. Two years ago, it was fewer than one in 20, it added. This is the highest rate since the UK's financial crash in 2008, according to agents from 10 mortgage adviser groups contacted by the Victoria Derbyshire programme. Emoov's chief executive Russell Quirk said he believed it was the result of surveyors - who carry out the property valuations for the mortgage providers - "simply covering their backs". He added: "Surveyors are prophesying a [financial] crash. The system is built to protect them." The Royal Institution of Chartered Surveyors (Rics) said: "The market value is based on comparable market evidence, usually a minimum of three sales transactions of similar properties in the local area, and also the professional's knowledge of the local market including supply and demand dynamics. "For this reason, it is quite possible that the valuation for the lender - the market value - does not match an asking price for a property that has been set by the seller or agent." After a buyer agrees the price of the house with a seller, the mortgage provider uses a surveyor to check what they believe the house is worth. The surveyor, employed by the mortgage provider, looks at the sale price of similar properties locally, market conditions in the area and the current condition of the property. If the surveyor believes the house is worth less than the agreed sale price, say by £10,000, this is known as a "down valuation". It means that if the buyer cannot negotiate a new price for the house with the seller, they will have to find the extra £10,000 up front or risk losing the house. Those with the smallest deposits and who have remortgaged their house after doing renovation work are most likely to be affected by down valuations. Down valuations have been blamed for an increase in housing chains breaking down across the UK. Ebony Roberts and her fiancee Jalisa Andrews, from Port Talbot in South Wales, have experienced two down valuations while trying to buy their first home together. "We got right through to the very end stages of buying a house we had our hearts set on... but then we had a problem when the mortgage valuation came back," Ms Roberts said. "We had a down valuation of £10,000. The seller would not drop their price, so we lost that house." Then it happened again, on another property. Worried they would lose that house too, they borrowed £5,000 from family members at short notice. "Our broker even said, 'You're having a bad run,'" explained Ms Andrews. Those remortgaging their houses after doing renovation work are also among those most affected by down valuations. Phil Broodbank, from Wirral, bought his house for £180,000 a few years ago and spent up to £25,000 renovating it. When the time came to remortgage, a surveyor valued his house at £200,000 without visiting it in person - in what is known as a "drive by". This valuation was £20,000 lower than a local estate agent had valued the property. Mr Broodbank blames the surveyors for what happened. "They didn't actually take a look at the property. For all they know the inside could be a complete shell." The surveyor's valuation would have meant Mr Broodbank paying around £50 a month extra on his mortgage over five years, as his interest rates would have been higher. Instead, he says he lost hundreds of pounds in fees by choosing to go with another bank, who valued his property at £220,000. UK Finance, which represents the banking industry, said: "Lenders have a responsibility to ensure that the value of property taken as security on mortgage loans is current and realistic. "Although the valuation is carried out for the lender, borrowers also benefit from a realistic independent valuation as it could help them avoid paying over the odds for the property they are buying." Belvoir Liverpool Central Sales Team can be contacted on 0151 231 1613 (option 1) or email us at liverpoolcentral.sales@belvoir.co.uk.